When I planned this series I thought it would be a light and high level, but this specific post is a bit deeper. As with all modules in AX it is important to know what is going on under the bonnet to fully understand the processes and opportunities. So let me try to sum it all up for you. You might want to go back to this as a reference post for all the other posts later on. 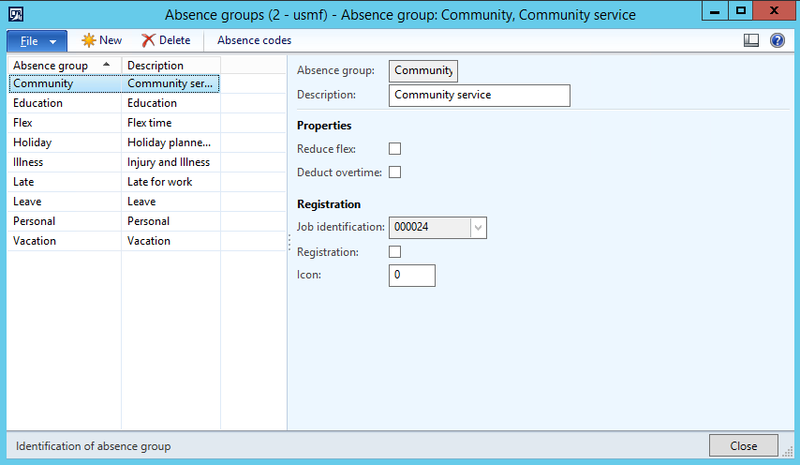 Time and attendance uses jobs to that it registeres in raw registrations at the time of input from the user. 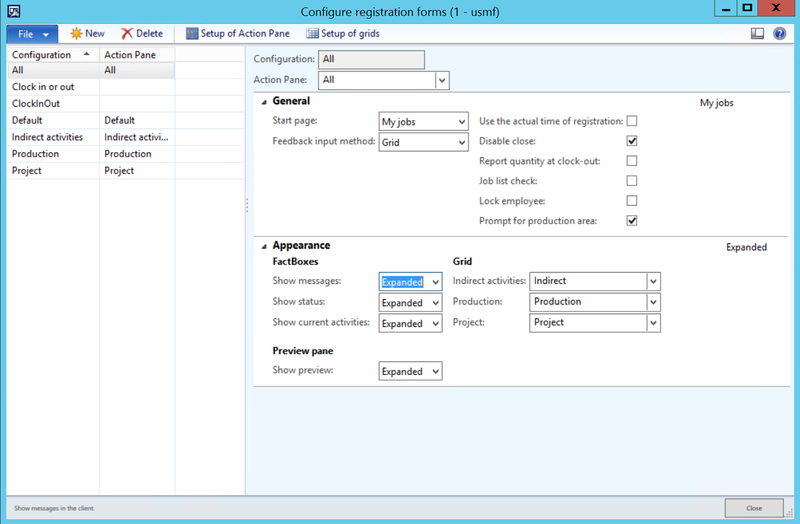 It creates multiple jobs for each production operation depending on the settings, a job for each project and project activity, a job for each indirect activity and absence code and absence group. 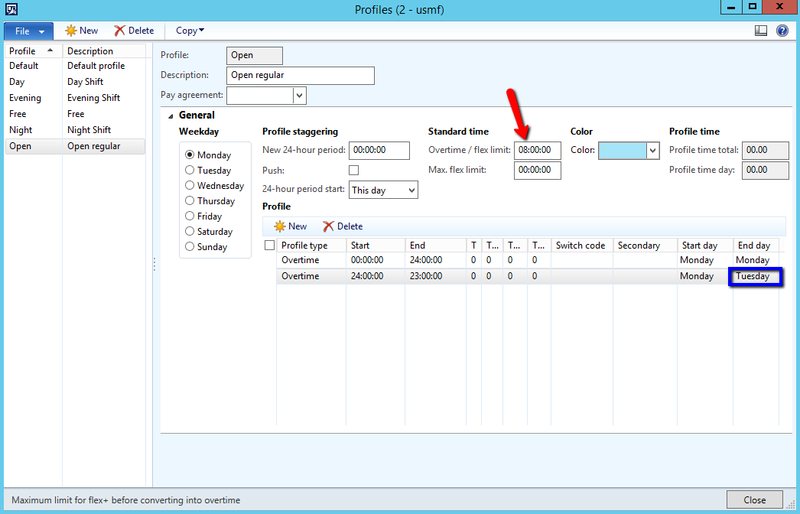 When the person doing the calculation/approval opens the profile day for control of the hours the system creates the time journal header and time journal transactions based on the raw registrations. The journal can be changed. 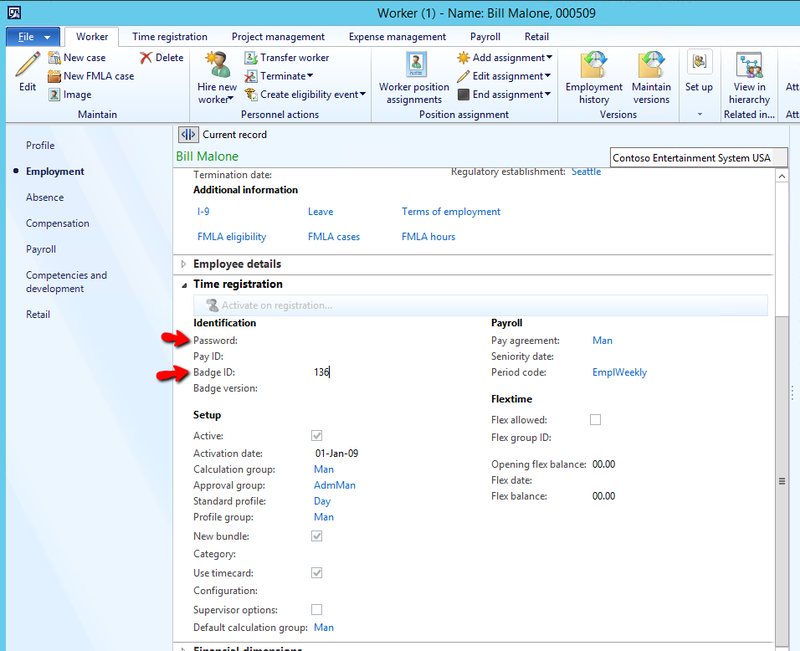 It can also be reverted back to it’s original transactions by importing the raw registration transactions again. 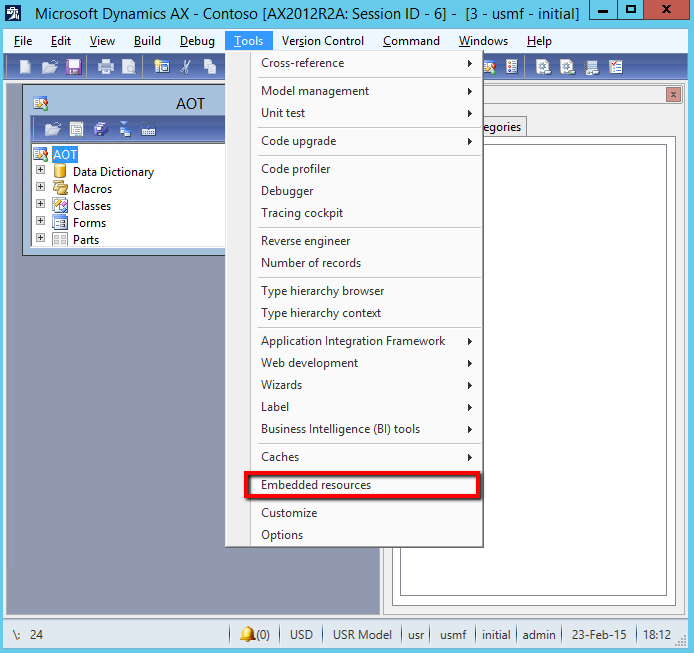 The system require absence to be identified at calculation. 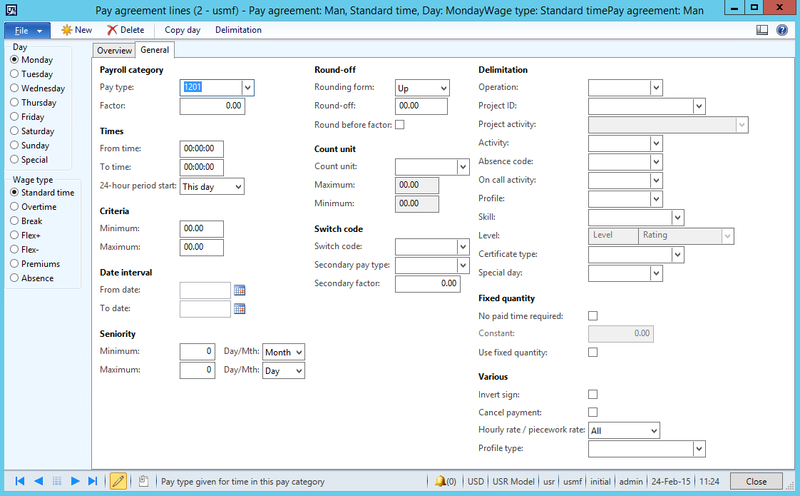 The pay agreements are used to set the base for what pay types that will be generated. 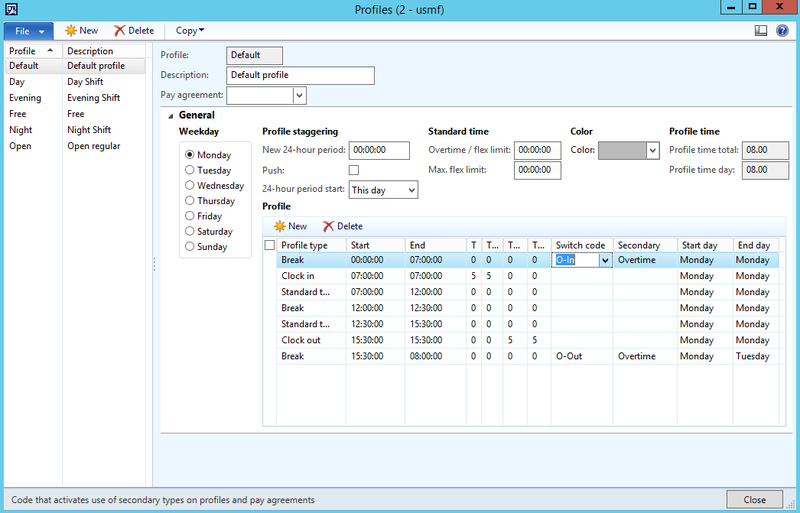 After the work times are calculated and approved it runs through the calculation paramters where the profile types corrosponding with the raw registrations generate pay agreement types based on the calculation parameter settings and pay agreements. 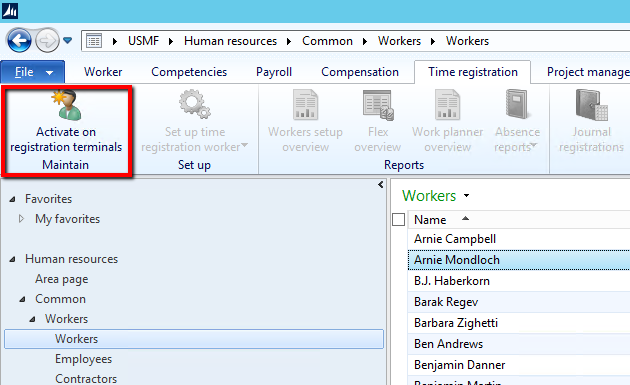 After calculating and approving the user will transfer the journals. This results in the lines being removed from the view of the user and pay types being locked in. 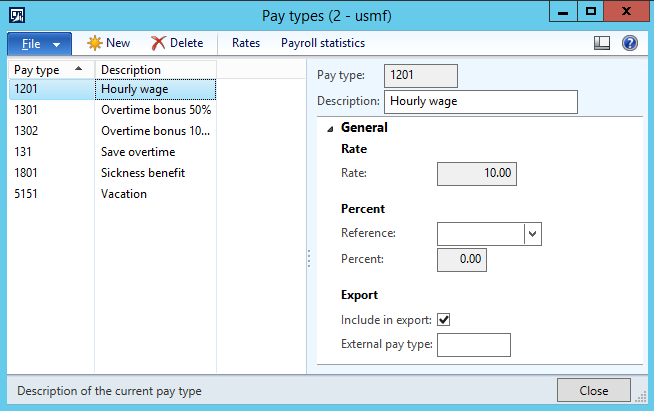 These can later be exported to an external payroll system and the pay type transactions will be flagged as exported. 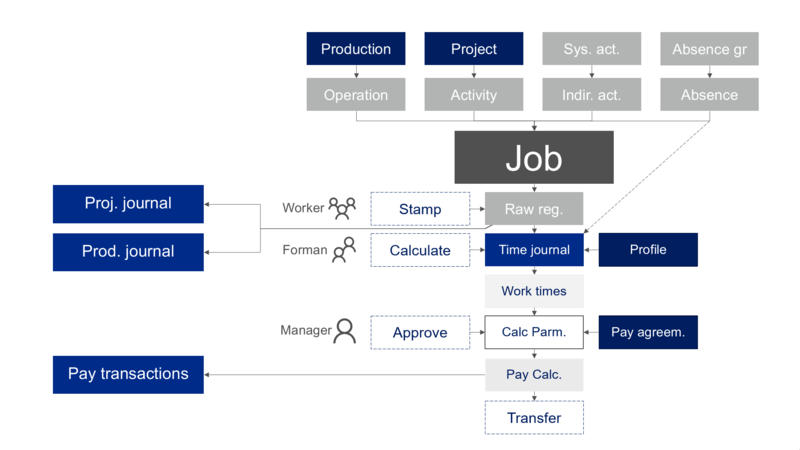 At the time of transfer the production orders and projects will get hours amended in the time journals posted as descrepencies in new route cards/Job Cards and Hour journals. 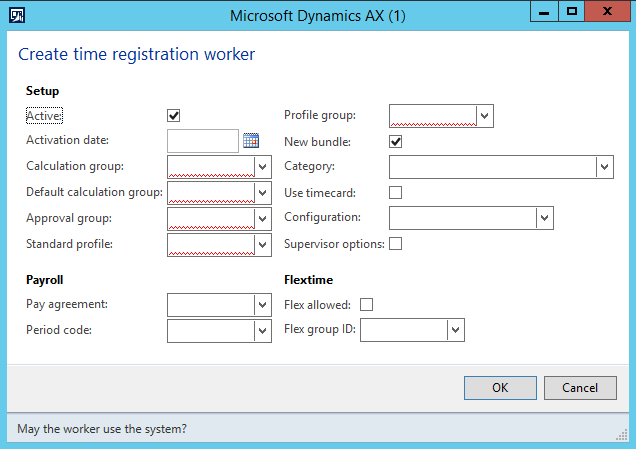 And that’s the basic process for time registration in AX. 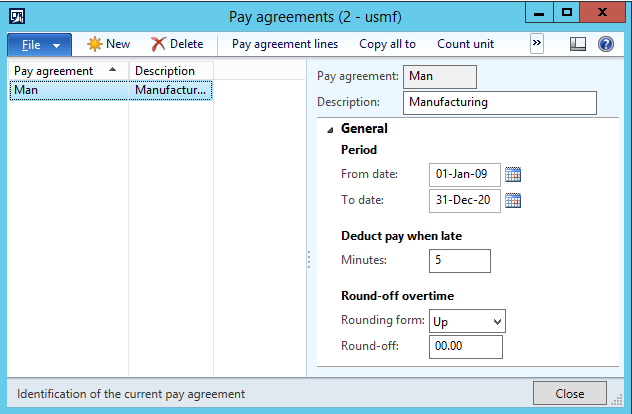 I leave the “auto insert flex/absence” option blank because this normally sat to the person calculating the hours. Password and Badge Id I some times use. 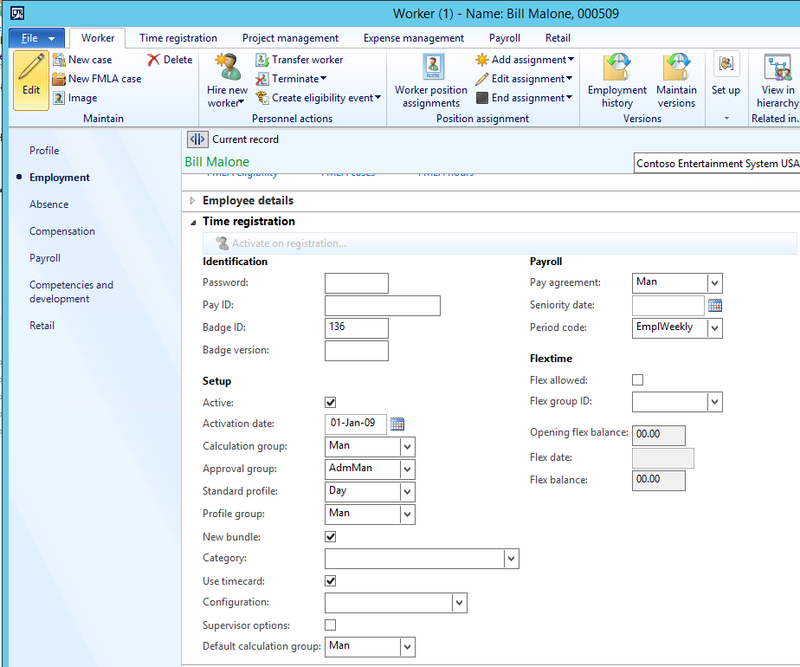 This is set up on the employee settings (Human Resources > Common > Workers > Time registration workers | Employment > Time Registration). 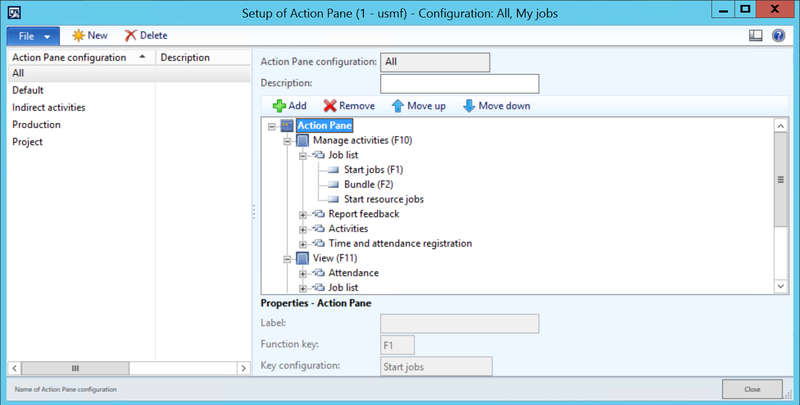 If password is active you have to enter a password at login, but you can keep it empty and only enter a password for supervisors for instance. 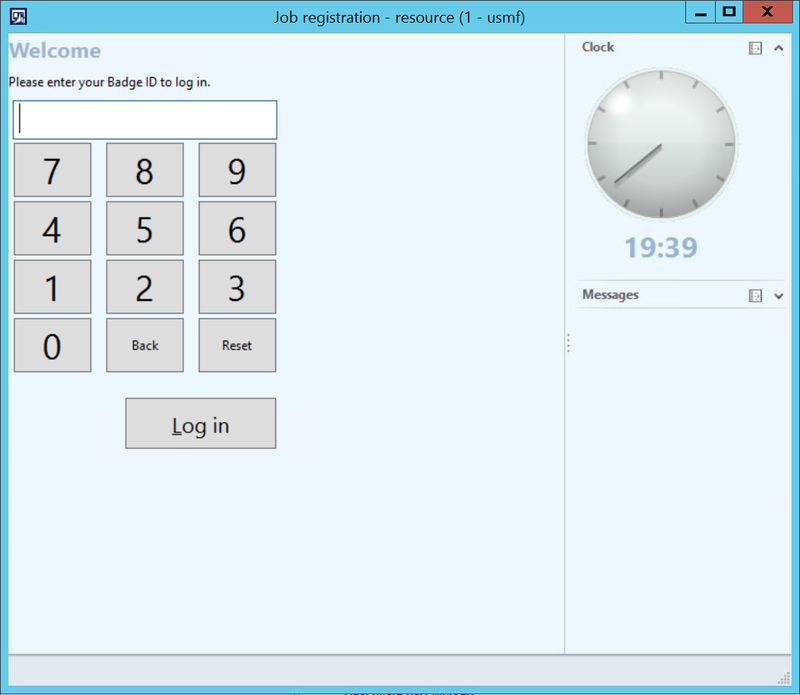 If the employee number sequence is not good for the login purpose, I use the badge ID for authentication. 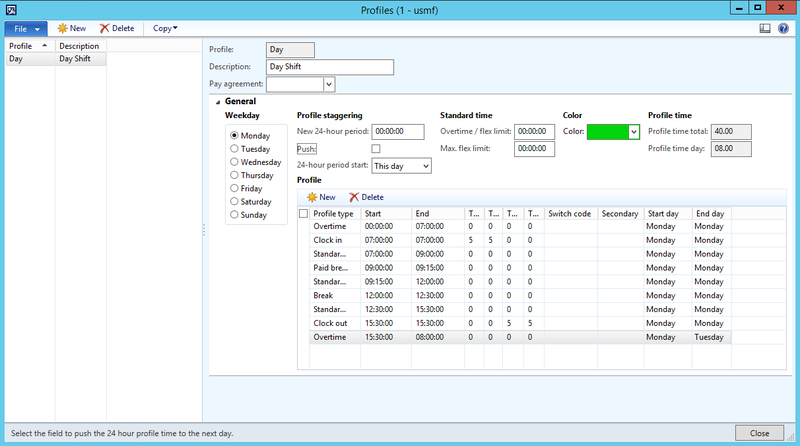 The reason to use centihours for “time presentation” is because this is the same as in manufacturing routes. If not the 60-minute hours would be a better Choice. 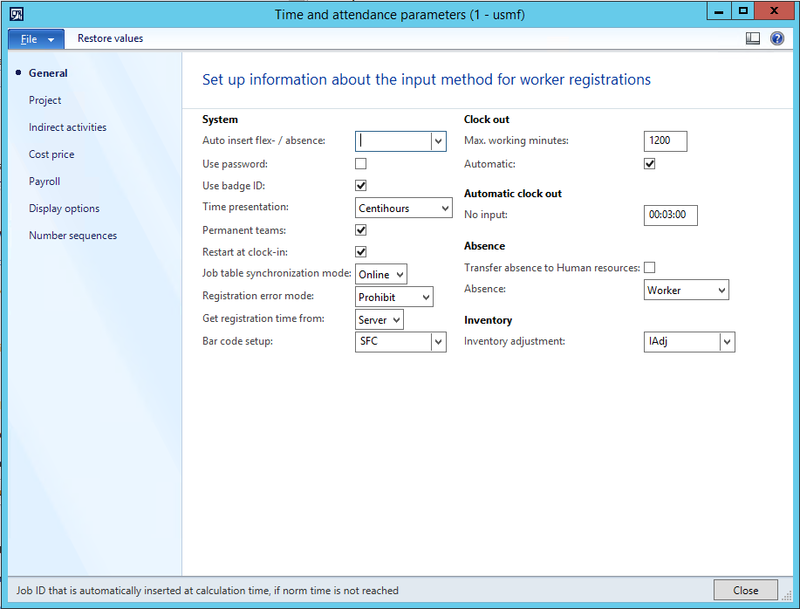 The workers go back to the same work as the day before and working with the same teams (if used), so the “permanent teams” and “restart at clock-in” is active. 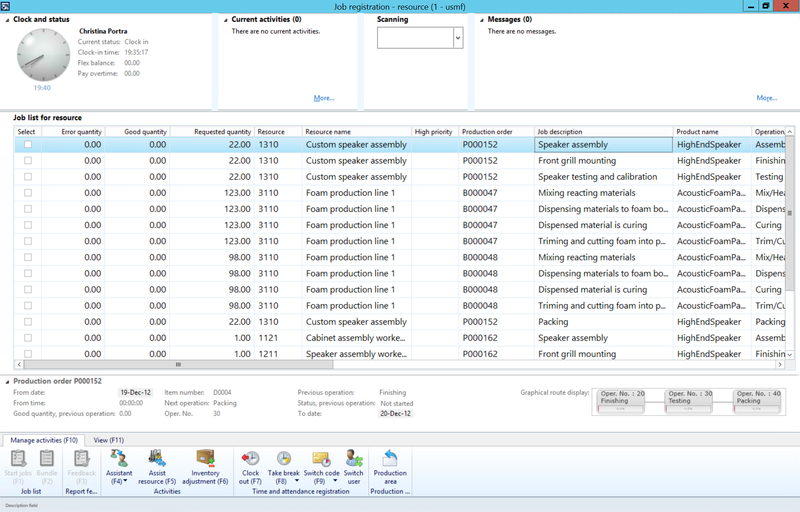 Job table sync is online, released orders are dropped to the shop floor instantly. 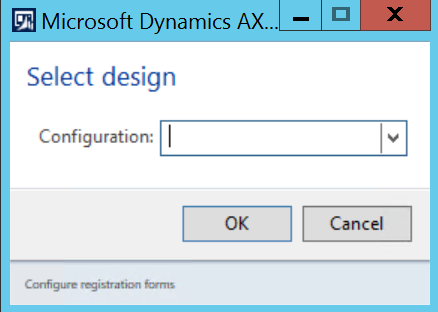 The registration error mode is sat to prohibit because discrepencies has to be controlled. 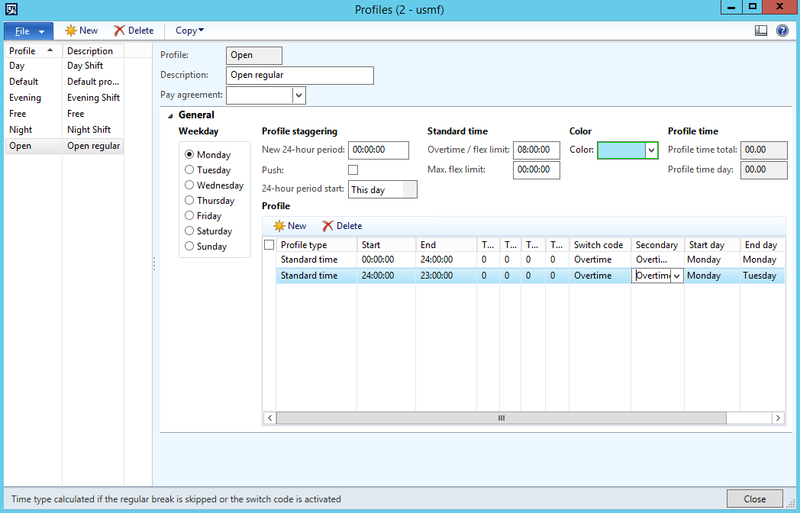 If a user has a record posted at a time after the time stamp time the system will prohibit the user action. 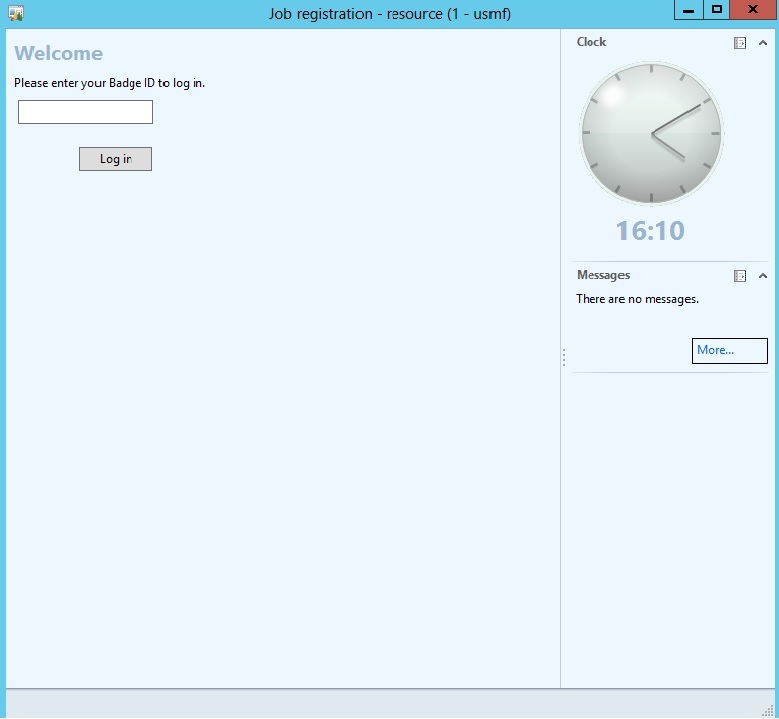 Get time from server, so the system doesn’t use the local computer time. 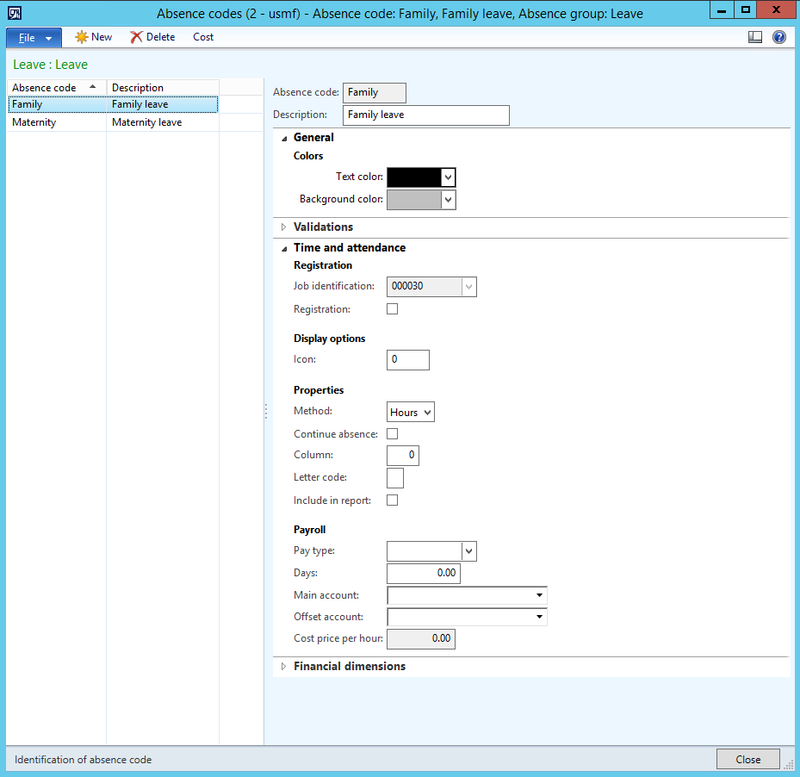 Barcode settings has to have a barcode type that has enought caracters. 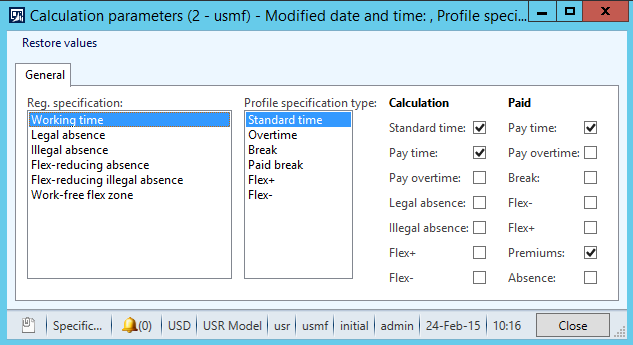 Max work minutes are set and automatic clock out is set to limit the time registered if the user forget to clock out. 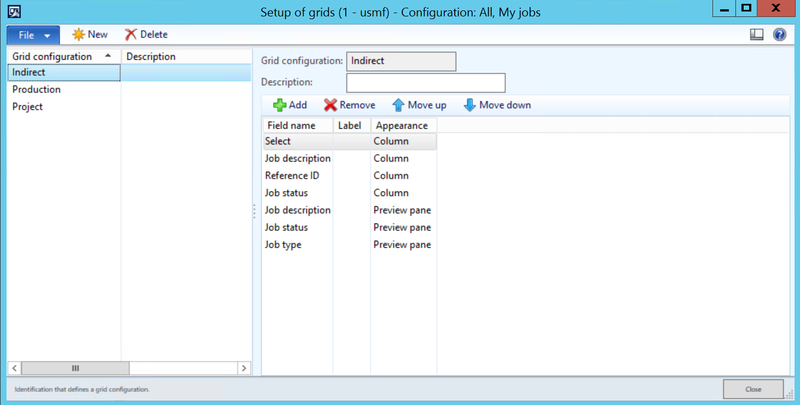 If no input is done the terminal resets. 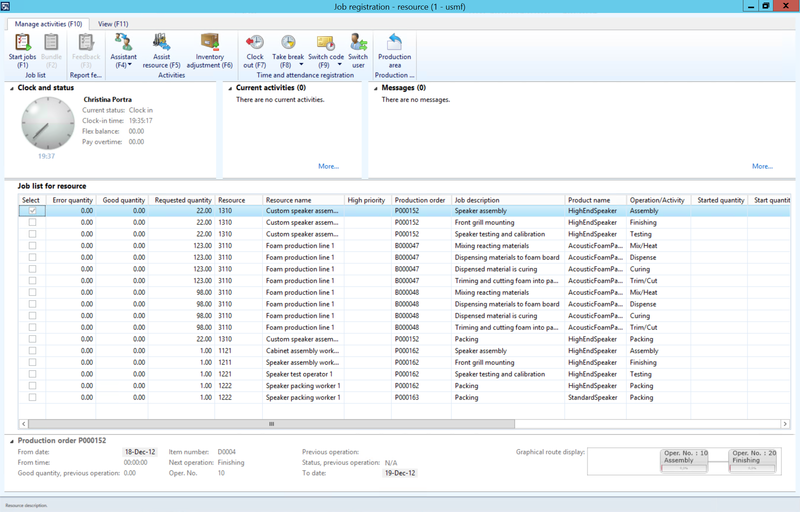 Inventory adjustment journals should have a special journal name, so you know what is posted from the shop floor. 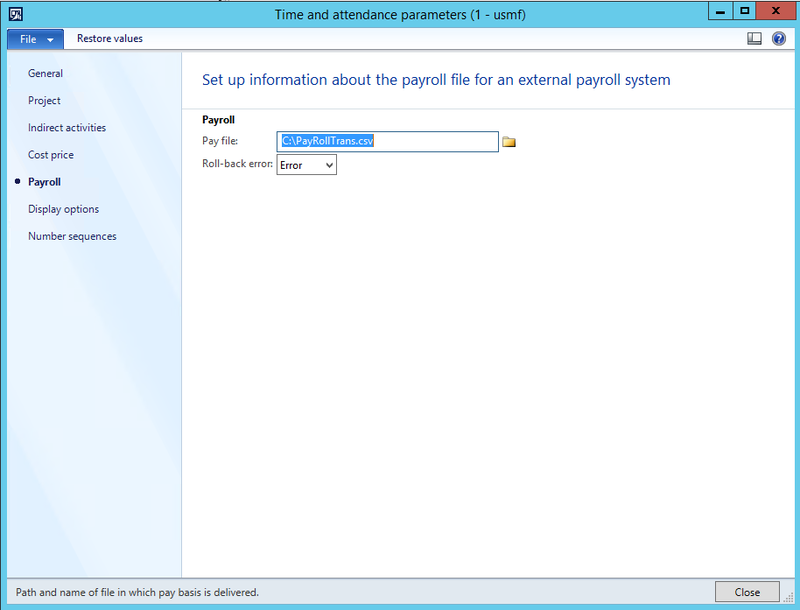 Also set the Payroll file name and path.